Ziti tossed in our homemade marinara, ricotta cheese and shredded mozzarella cheese, served with garlic bread and a half garden salad with your choice of dressing! Layers of seasoned ricotta, mozzarella and fresh chopped spinach baked in Brucci’s house recipe marinara and topped with melted mozzarella cheese. Breaded eggplant topped with fresh mozzarella, roasted red peppers and Brucci’s house recipe marinara. Grill-pressed on herbed Focaccia style bread. In 2006 Bruce opened his second location in the Julington Creek/Fruit Cove area. 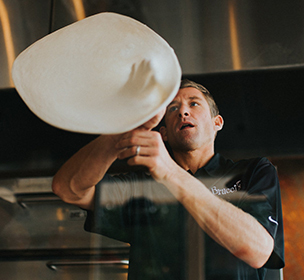 In 2009 Scott Dippel took over the location and re-introduced it as the St.John’s Brucci’s. An extremely family oriented area of the city, Scott and his family were a perfect fit. “It’s got to be all about the families”, said Scott. In addition to the unending list of local and traveling sports teams that he sponsors, Scott is also very immersed in the schools. 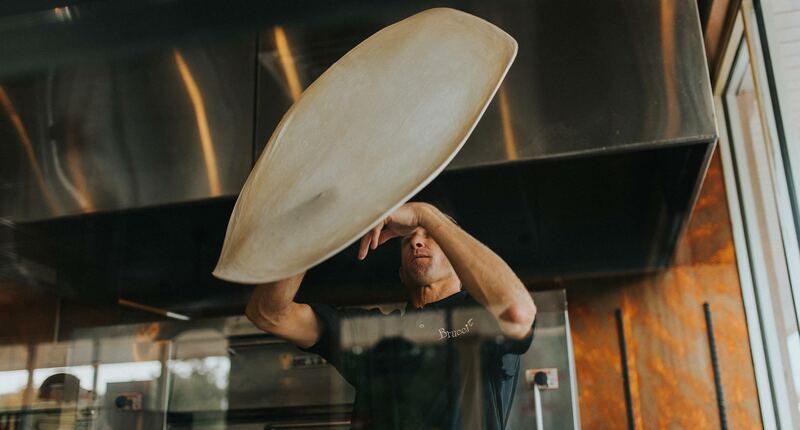 He has been seen in the Brucci’s mobile pizza trailer, serving slices at the grade school fairs and sporting events from middle school to high school. If you have been to this location, chances are Scott knows your name. His impeccable customer service, attention to detail and customers needs are second to none. Lasagna is his Brucci’s dish of choice. Coming from Scott, who’s educational background consists of degrees in Culinary Arts and Science, as well as a Food Management degree from Johnson & Whales, the St.Johns location probably serves the best piece of Lasagna in the city!